Sip Sip: Our Favourite Gorgeous Spring Cocktails are Actually Good for You! With spring finally in the air, it only seems natural to lighten up in the cocktail department. No, this doesn’t mean skipping happy hour; just simply swapping wintry, boozy, dark-spirited cocktails for something lighter and more refreshing makes spring-time sipping pure joy. Sunshine, longer days and warmer temperatures? We’ll toast to that! And what better way to do so than to incorporate health-boosting, tasty tea? Here at amouraimee, we’ve been known to roll up our sleeves and get creative when whipping up a cocktail or two. After tasting sophisticatedly-French Montreal-based Téh Bar‘s gorgeous and super healthy teas, we can’t stop the sip, and come happy hour, we’re spiking these awesome blends for the tastiest, freshest iced-tea cocktails ever. Another major difference from the rest? “No wall of tea tins that are closely guarded, intimidating and inaccessible.” Instead, Téh Bar created the very first of its kind: the sniff bar. 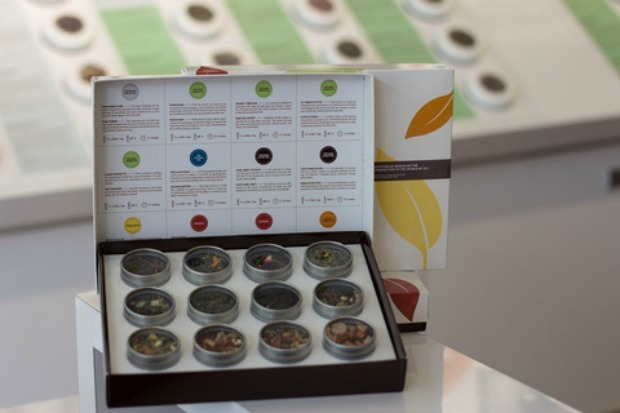 Customers can smell as many teas as they teas want and at their own pace for a relaxed and enjoyable experience. 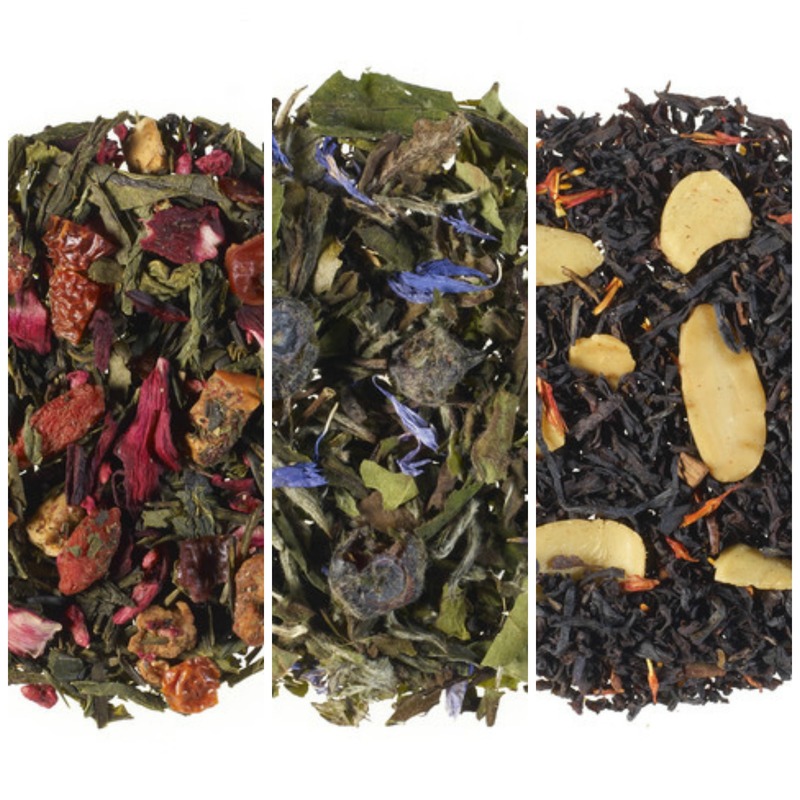 Offering all seven tea varietals — that is green, white, black, oolong, rooibos, yerba maté and herbal — we’ve tried three different blends, each as delicious as the next. Tibetan Secret, the green tea we tasted, is a berry blend with fresh tasting ingredients like hibiscus, rosehips, apples, goji berries, raspberries, pomegranate blossoms and açai fruit powder. After steeping, we ran with the fruitiness of the tea and made a super tasty sangria. Simply adding the steeped tea to a jug with ice, we mixed in a splash of brandy and triple sec, red and white wine, some soda water for effervescence and all the berries we could find. The Life Extender white tea we sipped was also berry-based, featuring blueberries and natural pomegranate essence. Lighter than green tea, white tea calls for a simpler spike to ensure a balance of flavours. Muddling some blueberries to bring out the flavour in the tea and mint for freshness, we added a few drops of agave syrup and a big squeeze of lime before adding a shot of vodka. Topping with a splash of soda, we made a berry-fresh twist on a mojito. Lastly, we fell for the black tea Morning Motivation. Robust and pep-inducing, this tea blends sliced almonds, cinnamon and safflower petals for a deeply delicious and energizing sip. Standing up to bolder flavours, we mixed this tea into a rum-punch type cocktail with a spring-y undertone in flavours (nothing says ‘hello, sunshine!’ quite like a rum punch). Poured over ice, we added a shot of rum, fresh pineapple juice, a teaspoon of rock sugar, orange zest and a cinnamon stick to stir to blend the flavours of the tea together. Each one of these recipes were an absolute treat to sip — we’re very much looking forward to trying more teas and concocting more cocktails that we can toast healthfully. Cheers to that!